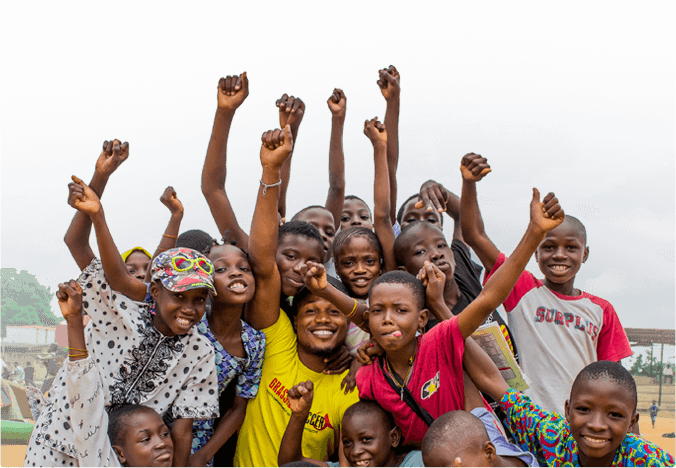 Grassroot Soccer was selected by the Kraft family and New England Patriots Charitable Foundation to be a featured charity as part of the Patriots Global Giving Back Week in conjunction with the team’s Celebrate Volunteerism initiative. 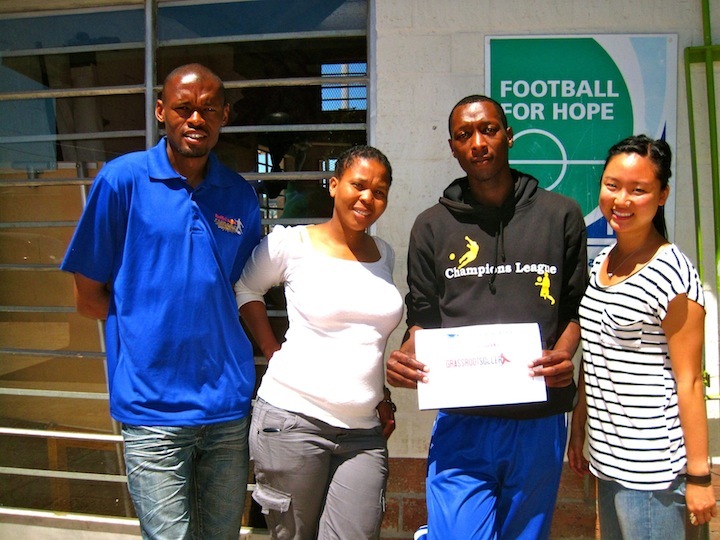 One Grassroot Soccer Coach, Lucky Mfundisi, from Khayelitsha, South Africa, received a further honor as he was selected from nominations from all the featured organizations as the “Patriots Difference Maker of the Week”. 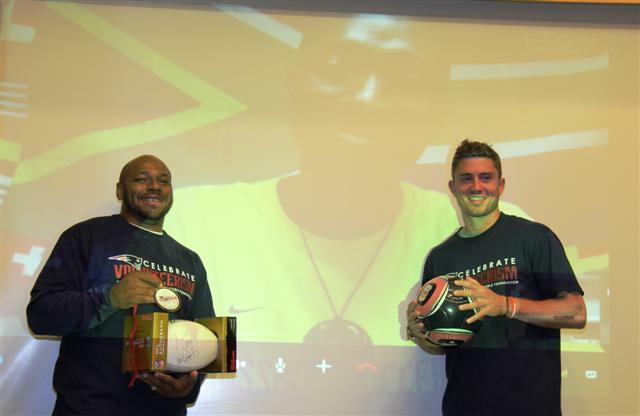 Lucky and Grassroot Soccer were both honored at a Patriots community event on October 23. At the event, Lucky was looped in live to accept the honor directly from several Patriots players. 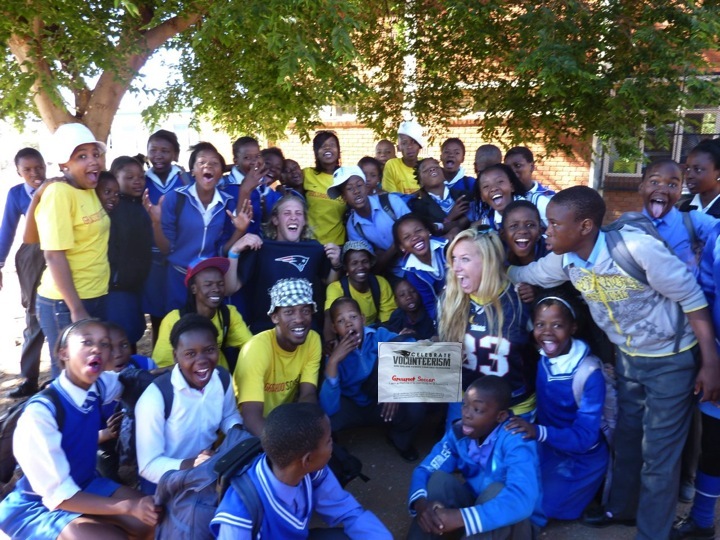 Coach Lucky Mfundisi receives the Patriot Difference Maker of the Week award via video from South Africa. Pictured with Lucky are Patriots running back Kevin Faulk (left) and New England Revolutions soccer star Chris Tierney. 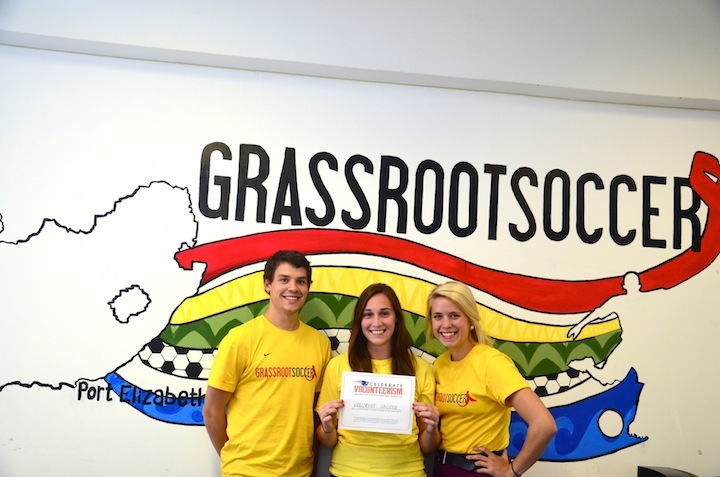 You can see Grassroot Soccer’s profile and Lucky’s bio on the Patriots website here. You can also view a thank you video from Lucky here. 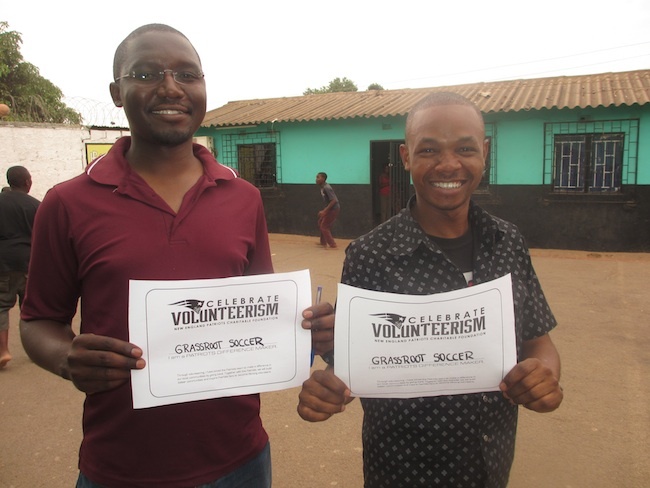 As part of the Patriots Global Giving Back Week, Grassroot Soccer interns and coaches pledged volunteer hours towards the campaign. 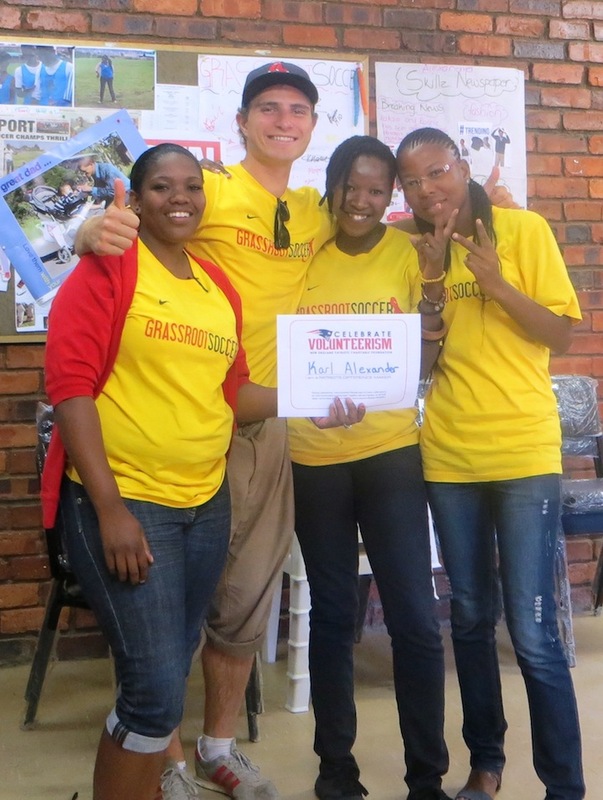 Below are some shots of our interns and coaches in action with their Patriots volunteer certificates. Grassroot Soccer is proud to work in collaboration with the New England Patriots, a premier NFL team and an organization dedicated to community service.